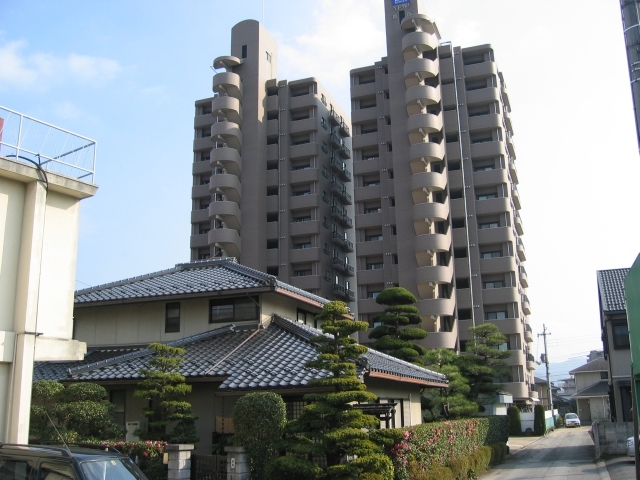 With the mind boggling amount of people that live in the Tokyo metropolitan area, it's obvious that not everyone can live in a house or a small apartment complex. Necessity has given way to mega-apartment complexes. Of course there are smaller complexes, but ones such as in the above photo are relatively common. 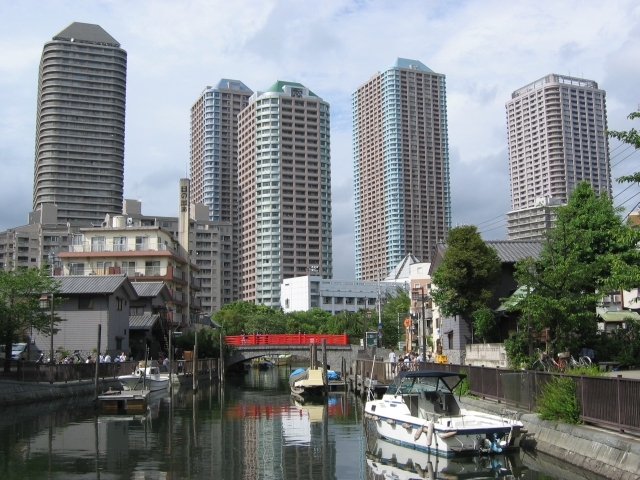 The photo above shows several mega-apartment complexes that are on Tsukishima island. This is a man-made island. 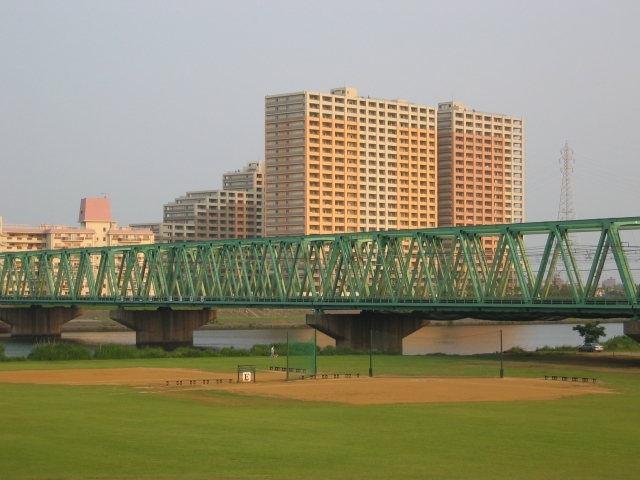 You can see this area in the center of the photo in last post titled "The Sumida River." 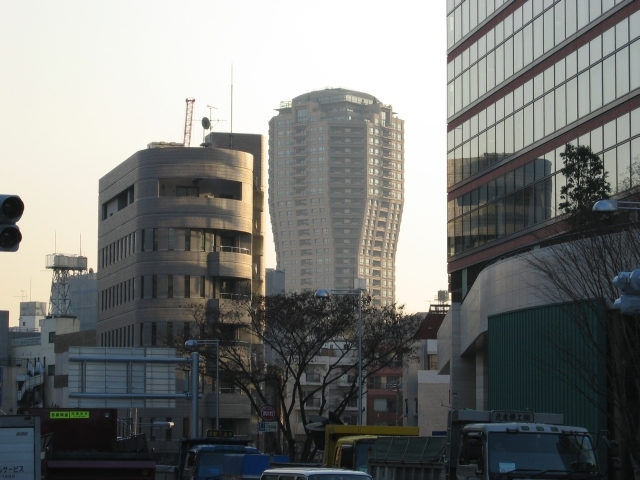 The large apartment tower in the center of this photo is called Moto-Azabu Hills. It was constructed by the famous Mori Building Company. 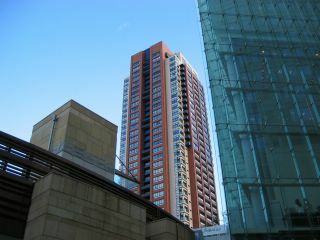 It is located near Roppongi, which is a trendy area of Tokyo. The popularity of this area is the reason that land prices and the rent for these apartments is out of the reach of normal people. 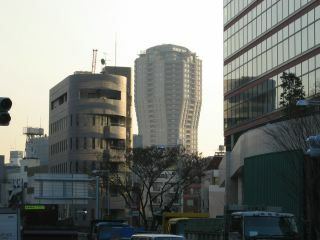 This residential tower is located in the new Roppongi Hills development. The prices for the apartments in this area are some of the highest in Tokyo. They start off at approximately 3,000 USD and run all the way up to $40,000 for a 5 bedroom unit. That's per month, unbelievable! The apartment towers in the photo above are located in Yamaguchi City, which is the capital of Yamaguchi Prefecture. This large apartment complex is located in Chiba Prefecture, which is next to Tokyo. 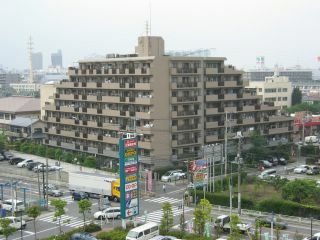 Another example of an apartment building in Chiba. Thanks for the comment on my blog. So, what are you doing in Japan?